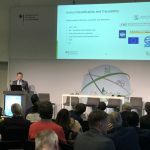 Dr. Ferdinand Schmitt, Managing Director of ADT Project Consulting, was invited speaker on the side event „Technology, Tracking, and Traceability in Animal Health” during the Global Forum for Food and Agriculture (GFFA) in Berlin. 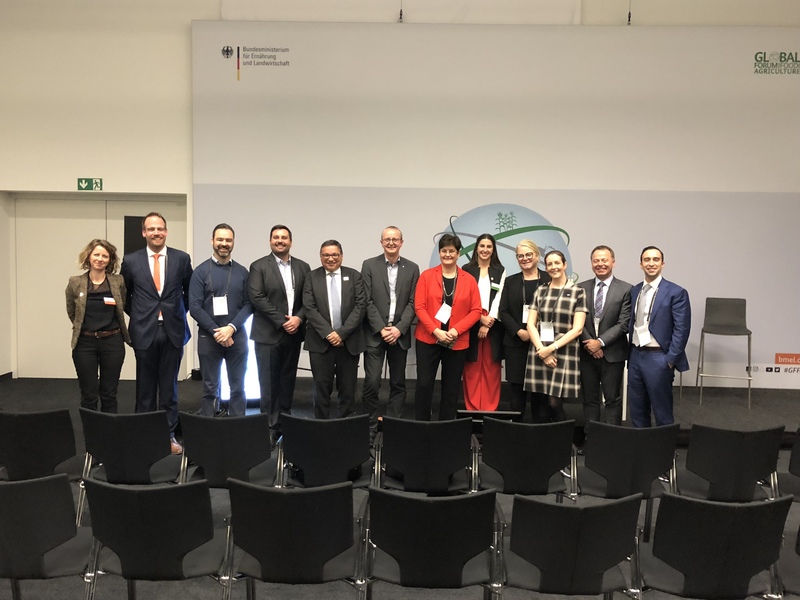 It was a lively and informative session with speakers offering deep insights for the audience – from on-farm solutions to global tracking. Approximately 160 people attended the discussion. 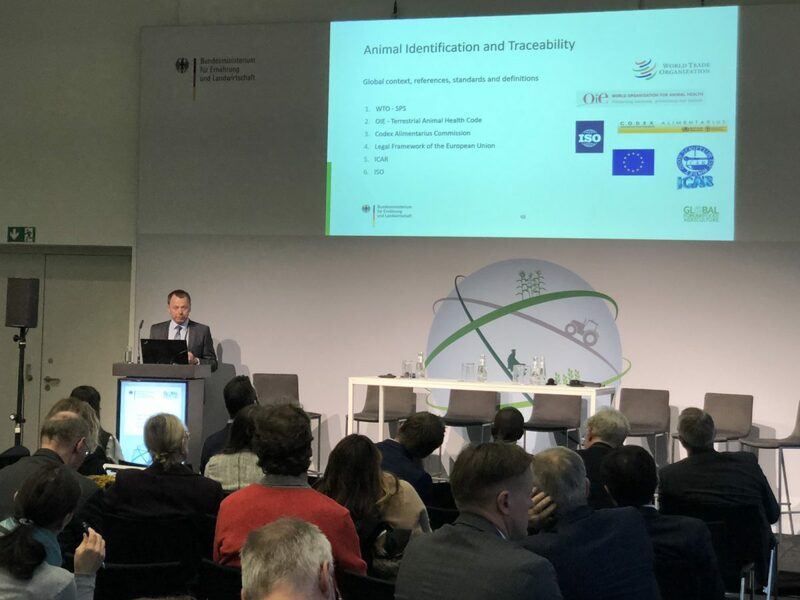 On behalf of HealthforAnimals, BfT and AnimalhealthEurope Dr. Schmitt presented the various options which Animal identification and traceability (AIT) systems offer to manage and improve different fields of the livestock sector and in particular the health of animals. What can AIT systems exactly do for the purpose of Animal Health? AIT comprises the registration of establishments with animal keepers and owners, the identification and registration of animals and a consistent data recording when the animal is moved or vaccinated. Thereby AIT systems offer targeted information to different user groups involved in Animal Health surveillance and management. Information about location of establishments and exact numbers of animals on a farm at a given date are crucial at the outbreak of a disease when an effective and fast reaction counts. During vaccination campaigns the collected data help to monitor and visualize effective vaccination i.e. with purchasing the right amount of vaccine and targeting vaccination in terms of geographical location or production systems. For the surveillance of diseases AIT systems provide information on sample taking and laboratory analyses and helps to identify follow-up activities. Further to animal health issues a functioning AIT system is also important to obtain and supervise food safety and quality, can help to reduce stock thefts and is in a global market a prerequisite to market access, trade and as such for economic growth. AIT applications can offer livestock keepers access to grazing and migration and foster genetic improvement and productivity gains.